1. Selling (mostly) Floral Scented Toilet Paper – We’re sure that somewhere in Cuenca you can buy the unscented TP, maybe Supermaxi. Do they really think floral scent is going to help curb bathroom odors? This one goes with #2. 2. Putting Used TP in the Waste Bin Next to the Toilet – Okay, okay, so the plumbing in certain areas is antiquated, we get it! We believe Cuenca is working on that too. Yes, in some areas of Panama you have to put the TP in the waste basket instead of flushing. And this is what it looks like (see photo below) by the end of the day and you don't want to know what it smells like. 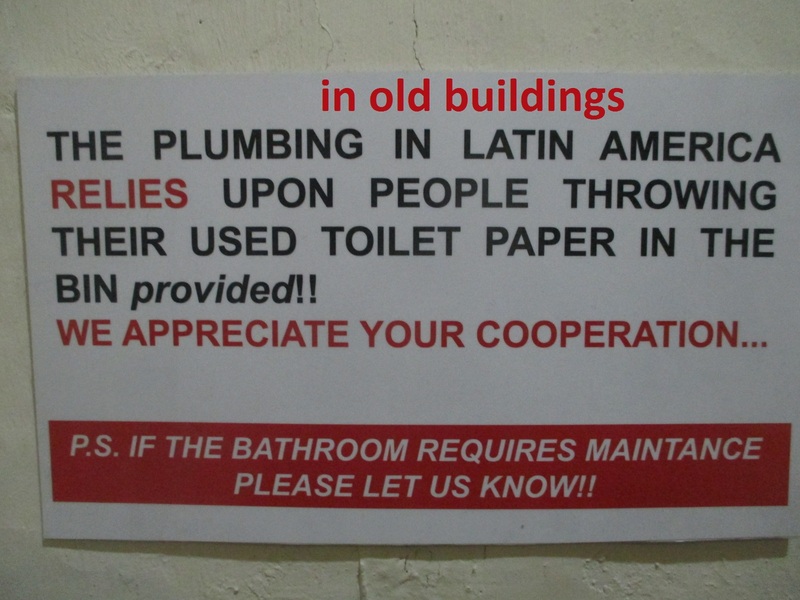 However, in some of the newer/nicer areas in Quito they have to put up signs that ask people to please "flush" the TP. Note: We flush the TP in our home but we have a fairly new house; we've never had a clog...knock on wood. 3. Being Served Instant Coffee, Even in the Nicer Restaurants – In a land where they grow it, they serve you instant coffee. And be careful. If you order milk with your coffee they will serve you a cup of milk with your instant coffee. 4. Being Late for Personal Engagements Considered Good Manners – This one takes a bit getting used to. Showing up on time for personal engagements is bad manners in Ecuador. 5. Gringo Gouging – Just because you’re a gringo! Everywhere in Latin America you will have to deal with gouging. 6. Vehicles Having the Right of Way at Pedestrian Crosswalks – This one is getting better. More and more Ecuadorians stop for us so we can cross the street but there is still a large percentage that don’t. 7. Incessant Honking of Car Horns – Latin Americans driver drive with their horns. 8. Paying Your Water and Electric to the Landlord – In Ecuador the law is that your landlord pays the utilities and he or she will let you know how much your electric and water is each month and then you pay it with the rent. You can take their bill to the pay counter and pay it yourself (recommended) but it will be in their name. 9. Restaurants Not Willing to Serve Brown Rice – Some of the vegetarian restaurants do serve brown rice and that’s a plus. We understand they like their rice, but we keep lightly suggesting brown rice in some of the restaurants and it's almost always a "no" because there is not enough demand for it. 10. Walking and Eating at the Same Time – We walk and eat now too since it is the cool thing to do. 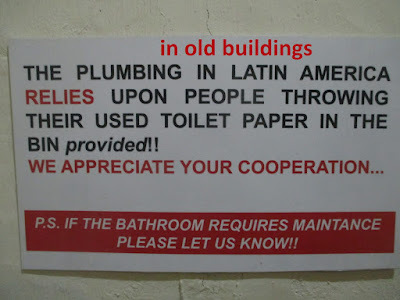 Yes, they do it in Panama too. 11. Incessant Gringo Pumping - Gringos constantly pumping the area and all its glory and leaving you holding the bag. It's ok though, the glass is still half full. 12. Being a Permanent Resident but always being mistaken for one of those tourists and their spending habits. My mom has been in the u.s. for 50 years, longer than all the millennials put together, which number over 80 million according to the u.s. census, but she still to this day because of her accent gets asked: "how long have you been here?" I see it coming now. If You enjoyed this article, you might find these interesting too.